The story began when Daniel Cheong and I started our successful rooftop photography workshops in Dubai. We then decided to expand our business globally by conducting several successful workshops in Iceland, Germany, Lebanon, Netherland, Jordan, Namibia, South Africa, Czech Republic and many other destinations. During our workshops we take you to amazing locations. We are passionate about our work and your dreams. Our aim is not only doing photo tours but focusing on the educational part by enhancing your photography skills. We will coach you during the trip, share many tips & tricks with you and teach you different techniques. 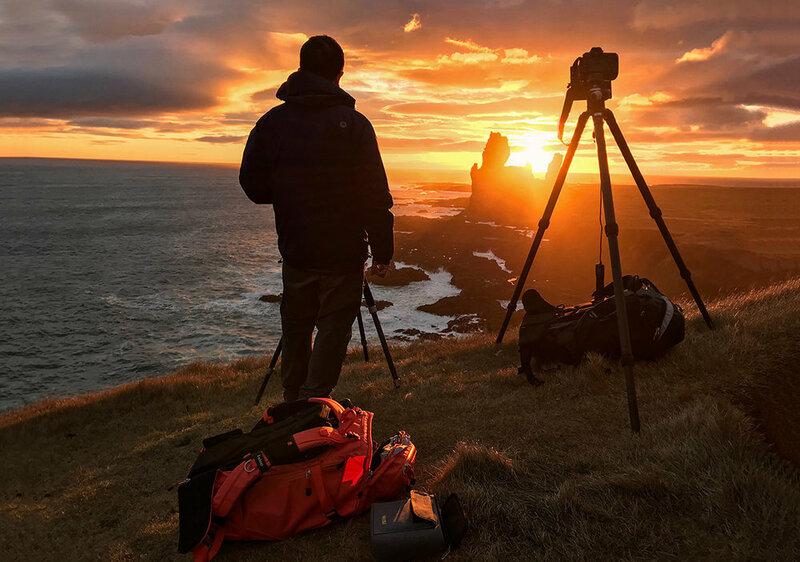 We will help you to understand your gear, do your preparations, scout the location, pre-visualise the image, understanding composition, chase the light, dealing with filters and many other technical aspects including post production. During our workshops we take care of all logistics including accommodation, transportation & food. Our trips are carefully planned, and the locations, which have visited prior to the workshop, have been well researched and scouted. You focus on photography and to enjoy a vacation. We will take care of all the rest. All our workshop are supported by trusted global brands in the photography industry. Dany Eid is a photographer based in Dubai, UAE. He was born and raised in Lebanon, studied interior design and painting. Years ago he left his home country and became an expat, moving to different countries in the Middle East. Moving from one city to the other and the big diversity that the Middle East offers along with his passion for travel exploring the world as well as the homesickness to the place where he grew up had a big influence on his photography. 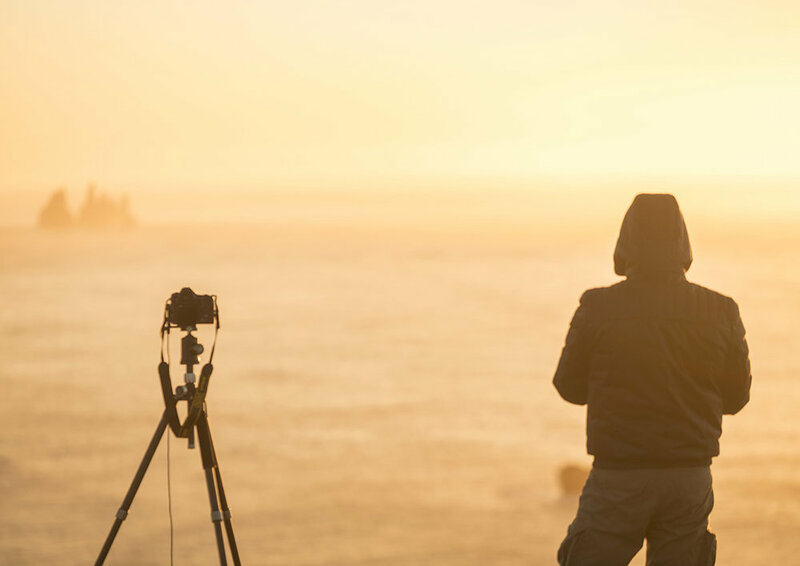 He left his executive career and followed his passion to become a photographer. Dany believes that nothing is better than doing a job that you love & pursuing your dream. He specializes in landscape, cityscape, architectural, corporate & travel photography. He also conducts his own workshops around the world. 'Straight out of the camera' is a concept which I am not familiar with. I don't pretend to show reality, but an idealized version of it. I was born in Mauritius, originally of Chinese descent, and French by nationality. My job in the telecom industry requires that I travel frequently to multiple destinations including France, USA, Japan, Singapore, though I live in Dubai now. I've always loved photography, but only became serious about it when I bought my first DSLR in Singapore, back in 2006. I joined Flickr around that time, where I discovered the world of High Dynamic Range photography. I then aimed to perfect the technique of Digital Blending, which consists of manually blending multiple bracketed exposures in order to obtain the maximum dynamic range, while trying to keep a very natural look and avoiding the common mistake of many 'overcooked' HDR images. This slight element of the surreal, or hyper reality often found in painting is what I am trying to achieve. I am a "rooftopper", I find the city most appealing when it is shot from the highest vantage points, and specially at the 'Blue Hour'. Could there be a better Christmas Gift than attending a rooftopping workshop with Dany Eid and Daniel Cheong? For an avid landscaper such as myself, I can’t think of a better way to spending my weekend. If you’re looking to shoot Dubai from a whole new perspective or to learn a bunch of tips and tricks of how to do it best, this workshop is for you. We started very early Friday morning in a stunning terrace of Shangri-La hotel that overlooks a spectacular knot of roads leading to the most iconic buildings you can think of in Dubai. We had clear skies that day and a bit of typical haze, but it created almost a low-hanging stunning looking cloud of soft light wrapping around the buildings and Dany helped out with the settings for how to best capture the ever elusive sunburst between the buildings. The location couldn’t have been chosen better for sunrise and even when the sun was already high there were a lot of interesting angles to shoot. Fast forwarding to the second location which is a place that I haven’t seen many people shoot at that time - Central Park Towers DIFC, I could’t be happier to discover some new angle of our city that has been indeed photographed from every corner at this point. We got there at 4 pm and had plenty of time to asses the situation and find our vision. Even though we were a relatively big group of people, nobody was fighting for the shot and everyone settled down nicely for their own picture to be captured. Daniel was sharing his techniques of capturing enough photos for the perfect digital blend, while Dany tirelessly perfected everyone’s shot and pointed to the details that might have been overlooked. Any question that had arisen that evening been answered with 100% proficiency and it didn’t matter if it was a career advice or any kind of gear question. We finished the night by heading to the coffee shop where we all shared our challenges and successes of the photographic session. One of the best things that happened that night was that we walked in as strangers, but left as friends. Next day we drove though thick fog to the classroom location to enhance our knowledge with some photoshop techniques. Daniel showed us on the examples of his own photos how to do some basic and quite advanced editing to achieve the best results, while Dany took photos of students. It is amazing to learn from such experienced people as Daniel and to be able to ask him questions about his workflow, and get first-hand advice on the editing of the challenging shots. At the end of the session we took a group photo, which is always a nice visual memory to keep. The evening of the second day we had second sunset shoot and man, it didn’t disappoint. I’ve been in Dubai more than 6 years and I have never seen it being foggy at sunset yet. Until that very evening of our second shoot. Universe, I mean Dany and Daniel, just handed me a golden ticket of one in (who knows, maybe) lifetime opportunity to be above the clouds when the sun goes down and shoot Dubai Marina and Jumeirah Lakes Towers being wrapped by fog. That location being the Cayan tower, is a dream place for any cityscape shooter. You can literally walk 360 degrees on the last floor of that building and get any view your heart desires. Only few people have access to this spot, so if you want to witness it with your own eyes, this workshop is your unique opportunity to do that. Well, what can I say? It was stunning and overwhelming. The fog was majestical, we were all feeling as if we were present at the birth of the Universe. All in all, I must say it was one of the most memorable weekends of last year, so if you’re looking to do something mindblowingly amazing and shake up your routine shooting envy-producing stunning photos for your social media, I highly recommend you join Dany and Daniel for their next workshop. Stop making excuses, just do it. I’ve joined multiple workshops along Dany and Daniel and it was the best experience. It’s amazing how you get to learn new things no matter how good you thought you were when it comes to photography. The workshops are so organized which makes it enjoyable and we didn’t have to worry about getting to locations on time, learning new techniques, treated like friends and most importantly, safety. Thank you Dany for this wonderful experience in Iceland, Jordan, Dubai and I’ll be joining future workshops for sure. I have had the good fortune to attend two workshops with Dany. If you’re still debating whether to take the photography workshop, don’t delay and book it now, you will not be disappointed. From the beginning through to the end Dany offered endless support, advice and guidance. He is very good at assessing the needs of each individual and works very hard to be able to help them learning new or improving photographic skills. In addition, he does it in such a warm and friendly manner, that by the time you leave the workshop, you feel like you are old friends! I am now very excited about the opportunity to go on a few photo tours with him. If it’s anything to go by from my previous experience, I am expecting it to be both fun and a good learning experience. I’ve attended several seminars and workshops with Dany Eid and I would definitely recommend him to anyone interested in learning more about cityscape or landscape photography. You will not be disappointed. Dany is professional, attentive and his passion for photography is infectious. All the workshops are well organised and you’re guaranteed to walk away with a ton of knowledge and a friend for life. He makes sure that all the participants feel supported, working tirelessly to help extend their skills and give honest feedback. Attending the Iceland workshop in October 2017 has been one of the most amazing experiences I’ve had. I learned so much and I can’t wait for the next adventure. In fact, I’ve already booked the next workshop. Have been following Dany and Daniel on their Instagram handles and have always been amazed and inspired by their photography. I was fortunate to grab the opportunity to attend their workshop in Iceland and then another workshop in Dubai and it’s been one heck of a journey with them. As photographers we all reach a point where we think that we got this, but then you come across mentors who push you and open up more doors for imagination to hone your sight and leave you with results that would startle you. There knowledge and hard work put into their workshops has been a huge learning curve in my photography. I participated in Dany's Jordan workshop. It was a unique experience. Everything was well prepared from transportation to accommodation. We visited various breathtaking locations. And most importantly learned a lot about photography from the professionals. To see the enthusiasm and the determination to get certain shots was something I truly appreciated as well. I’ve been following Dany and Daniel on Instagram for a while as they’ve been an inspiration to me. I admire their photography, work ethics, and professionalism. Prior to meeting Dany and Daniel, I’ve been growing a passion for photography and travel, and when I saw that they were hosting a photography workshop in Iceland last year (2017), I was super excited and without hesitation, I decided to participate, and that was an experience of a lifetime.What I liked about the workshop was that everything was prepared for us, from lodging to dining, to transportation and teaching. I learned so many photography techniques that I never knew about, and I thought I knew a lot. I consider Dany and Daniel great mentors and can’t wait to attend more workshops with them in the future. 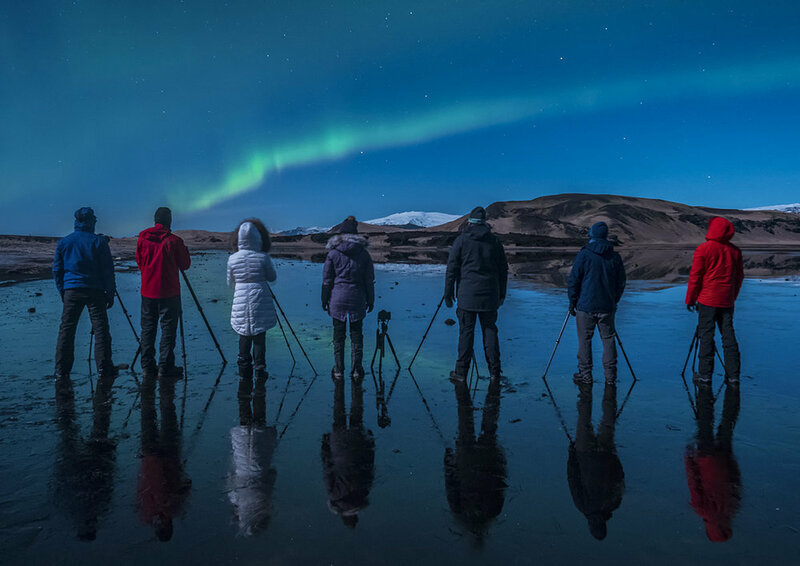 I came across Dany Eid and Daniel Cheong through their social media accounts and I have been following their work for several years.When they announced their Iceland trip, I signed up without a second thought. The idea of visiting my dream destination with such accomplished photographers was a once-in-a-lifetime opportunity. I enjoyed every aspect of this trip. The careful and detailed logistic preparation by Dany and the informative and personal training sessions on digital blending by Daniel along with the constant guidance and helpful tips by both Dany and Daniel during the trip. This trip was worth every penny that I spent. Dany is very focused on providing the best experience for the participants and ensures safety is paramount while keeping everything fun and enjoyable at the same time. Very highly recommended for any enthusiastic photographer who wants to work with the very best in the business. 1- I didn't like that some people left the group while we were still on the road ... usually that makes problems and drama and maybe (if the team isnt mature enough) a chain reaction . 2- The price to Lebanon trip was barely manageable to me as for Iceland it was way off my budged . I know its business what I think might be better if you make things like offers for beginners who need extra care and other for intermediate level where they don't need that much teaching . Or if you can make an offer two trips same price the third one you take 25% off or something. I have joined Dany & Daniel in 3 workshops from the 1st workshop my photograph skill have improved tremendously, at field & postproduction, The instructors are very knowledgeable and experienced that they will set any interested photograph on The right track. Work shops are very well planed & prepared. All 3 workshops participants I can call them friends, great groups to work with. I had lots of fun while learning. + Are flights included in the price? No. Flights are not included in the photo tour / workshop price. 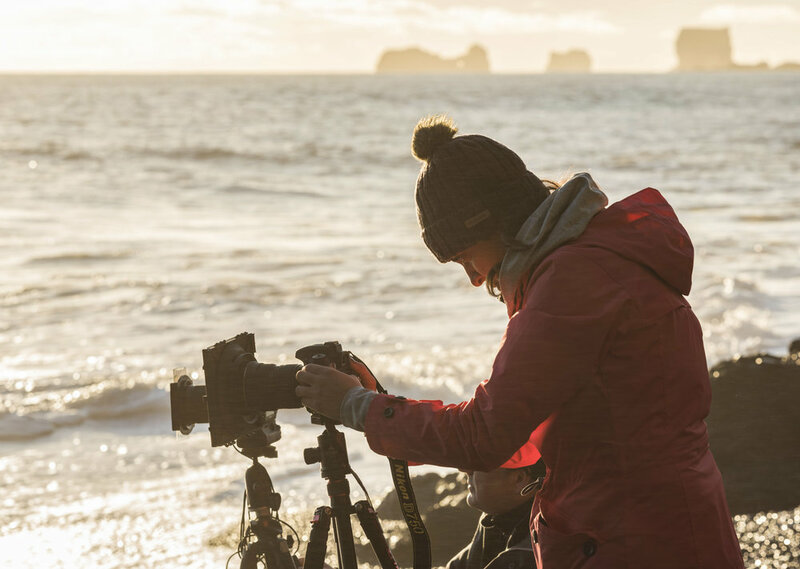 depending on the Photo Tour / Workshop, domestic airfare during the trip may be included, and will be specified on the Photo Tour / Workshop page. .
+ What is the payment policy for your photography workshops? Payment policy may vary for different destination. Please refer to the information listed on the specific Photo Tour / Photography Workshop page you’re interested in joining. + Is travel insurance included in the photo tour / workshop prices? + How can i register in the workshops? + How many people will be in my workshop? + What should I bring with me to one of your workshops? will receive a workshop welcome kit within 45 days of the start of the workshop you are registered for that will contain detailed information regarding bringing the proper gear with you and also we will add you to a WhatsApp group to disccuss everything there. + Do I receive any discounts on products from your sponsors? + Who can take your workshop? + What happens if the weather is bad? + How good do I need to be as a photographer? Most of our photo workshops are suitable for photographers of all levels. This means that you can be a pro or an absolute beginner. Since our groups are small, we tailor-make the tutoring to everyone’s individual level, and make sure we cater for everyone.